FROM THE MIND OF FIRE: The CRUSADE That Is CHRISTMAS! The CRUSADE That Is CHRISTMAS! Another year is coming to a close, and we are now merely weeks away from the festive celebration known as Christmas! Of course we realize that Christ was more than likely born in the spring, or even more likely in the autumn season, and that December the 25th was established as the official day by the Roman Catholic Church for its own reasons. 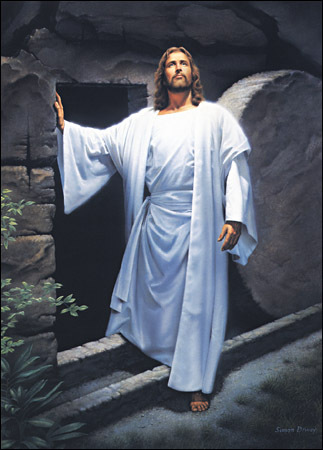 Nevertheless, whatever day it is that we celebrate the birth of our Savior, it's right that we do so, for in so doing, we acknowledge that our salvation has come, not in any deeds we could have done by the command of the LORD Incarnate, but by merely expressing faith in the power of Christ Jesus' saving power by means of the atonement He purchased for us by His own blood, on the cross at Calvary. Indeed, the story of Christmas starts in some respects, from a stone cradle, and climaxes on a cross of wood, and then climaxes even further at a carved tomb, emptied by the RISEN CHRIST! Then what's this about "The Crusade That is Christmas"? And Heaven, and Heaven, and nature sing! And wonders, wonders, of His love! There's just a couple problems with this Carol, however; first of all, this sin-laden Earth full of a sinful human race didn't receive her King! Even the Messiah's own nation, Israel, by and large rejected her Messiah! Not every heart actually did prepare Him room; in fact relatively few hearts received Him as LORD and Savior, sadly to say. And the second stanza says: "He rules the world with truth and grace" . . . ? Does He? As we take a look around, and acknowledge the way things are going, and then consider the justice and righteousness of the heart of God the Son, we have to admit, that He doesn't rule this world directly . . . not yet! And this LAMB of GOD was sacrificed for our sins, just as the nation of Israel had been slaying lambs for thousands of years, awaiting with hopeful expectation for the One Who would bear their sins, "ha Meschiach"; for such sacrifices as ordained by God, and codified in the Torah, the writings of Moses, were prophetic of the Messiah Who was to come. . .
Did you catch that part about He who would come forth to be ruler of Israel? This verse is speaking of Jesus, who was born in Bethlehem, and yet when did Jesus ever rule in Israel? He never did, but that doesn't mean He won't! For He who is the Lamb of God is also the LION of the TRIBE of JUDAH! That root of David is of course the Messiah, the LORD Jesus, who is also the LION of JUDAH. One thing about Lions and Lambs . . . Lions are ferocious and powerful and can cause a great amount of anxiety to any one who is near one, especially if that enormous cat hasn't had lunch yet! Lambs don't cause such panic . . . uh, for obvious reasons. In these two typologies we see the sort of coming our LORD would convey in the two different Advents to this world. And his reign will be glorious and universal (as in PSALM 24)! His reign will be a victorious result of having vanquished the kingdom of darkness, the domain of Satan, and that is where this idea of a 'crusade' comes in. "A remedial enterprise undertaken with zeal and enthusiasm." Remedial indeed, for the destructive power of sin, having wreaked God's creation, both mankind and nature, would be divinely remedied! And what an enterprise with such zeal and enthusiasm! We see the manger scenes, and depictions of this blessed event in films and plays, and we imagine a blissful night under a starry sky, and the young Jewish woman, Mary, perhaps singing softly to her babe some Hebrew lullaby. A HOLY INVASION directed by the LORD of Hosts, who declared WAR upon the serpent in the garden of Eden; when that diabolical creature lured Adam and Eve from their lofty position as Stewards of the Earth by the edict of the LORD, and brought them and the entire human race into the abject, deplorable condition of miserable, sinful existence. King Herod believed he was acting out of a totally selfish motivation when he devised to kill all male babies, two years old and younger in the little town of Bethlehem, in order to preserve his own throne against Him, whom the Wise Men from the East (Of the Parthian Empire, the successor in that region of the former Persian Empire, of which Daniel the prophet was an advisor and leader of their royal sages, the Magi or "King-makers") called the 'King of Israel' (See MATT 2). Yet I believe Herod was inspired by Satan, who likewise had trepidation over losing his reign from this Invading Power, the Son of the HIGHEST! Elsewhere the life of this child Jesus seemed threatened through satanic strategies and demonic designs. Then in a supreme spiritual struggle Satan brought all his powers and forces to bear, and attempted to lure the Son of Man in the same methodologies as he did with Adam and Eve. Satan knew that if he could get the Messiah to fall into sin, thus marring His perfectly sinless soul with the taint of sin's curse, He would then be invalid as a proper, spotless sacrifice for our own sins (LUKE 4:1-14). Satan even used Peter as his mouth piece in an attempt to dissuade the Messiah from directing His steps towards the Cross, but the LORD perceived the subtlety of that serpent and gave him a scathing rebuke: "Get thee behind me, Satan!" (MATT 16:23). Then, perhaps the greatest trial in our LORD's life. . . the garden of Gethsemane, where what lay before Him was the weight of the entire world of stinking, wretched, putrefying, rot-ridden sins would be laid upon Him! And even more terrifying to His Most Holy Mind - - being separated from His Father, of Whom in all eternity past, He never knew a single moment of separation! For he [God the Father] hath made him [God the Son] to be sin for us, who knew no sin; that we might be made the righteousness of God in him. And yet when all was said and done at Calvary, these three words echoed from that region of Jerusalem and into eternity, declaring the quintessential and decisive VICTORY over all the power of the enemy! "IT - IS - FINISHED!!!" And those words in the original Greek is "teleo" or "paid in full" regarding the debt of sin, committed by all mankind, against a Holy and Eternal God of Purity and Absolute Righteousness! As the old hymn says, "Jesus paid it all, all to Him I owe; sin had left a crimson stain, He washed it white as snow". The LORD Jesus in all His Almighty prowess took on all the power of Satan, not with one hand tied behind His back, but with BOTH HANDS, and FEET - - NAILED to a Judean cross! AND HE OVERCAME! GLORY to GOD!!! He stripped Satan's hellish hosts and principalities of their spiritual power and oppressive influences over the realm of mankind by taking on God's Judgment against the sins of human souls. and thus fulfilling the propitiation (a satisfactory sacrifice) that the Father required. This Christmas, it is my heartfelt prayer that any who have not yet received this supreme GIFT of GIFTS from the Holy God of all Creation who yearns to be a Heavenly FATHER to the lost and weary of this world, would indeed receive this gift of salvation, granted freely from the LORD. This day, may you know personally, the LOVE of the FATHER by receiving His Son, the LORD Jesus Christ, Savior of the world, Redeemer of all mankind, He who will one day (SOON!) come back to this world! THEN shall He be received as the KING of the world, both by Israel, just as He had been previously by the church, and by all those who shall come out of the great tribulation, having denied allegiance to the Beast, the son of perdition. 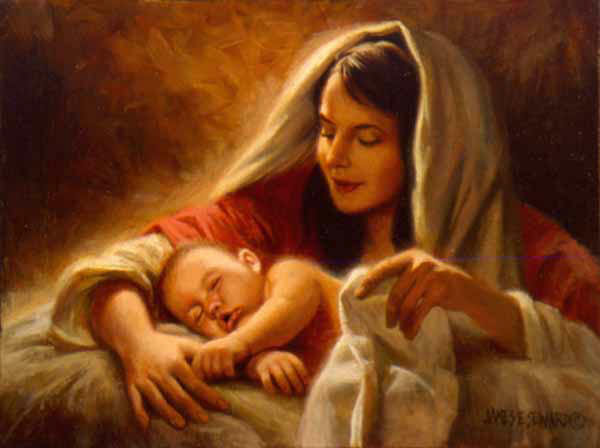 Then the PRINCE OF PEACE will rule this world and we shall all know rest and peace! KNOW JESUS, KNOW PEACE - - No Jesus, No Peace! 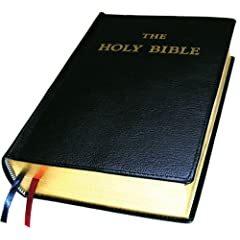 You have happened upon a blog written by one who takes the Bible seriously, that is, as the very inspired Word of God. Feel free to roam about, search the different entries, explore the various links or watch one of the videos with Chuck Missler, Dave Hunt, Roger Oakland and others; post a comment or three, ask a question, or propose potential topics to be discussed! I believe that as Christians we ought to glorify God at every available opportunity, and express our love and devotion to Him. Also, we are to exhort and encourage the saints in this saintly walk of ours, made available by the grace of our Lord and Savior, Jesus the Christ or Y'shua Ha Meschiach. As God's children we are to follow Christ Jesus by having a passionate, unconditional love for all people! So, I pray that these entries bless you in Him, WAY TOO MUCH! Exclusive Rights Belongs To the WORD Incarnate: KING of Kings and LORD of Lords. ******WARNING****** The reading, understanding, and application of the Truth of this Book on a personal level will result in radical transformation, and life altering consequences! Unless you desire the forgiveness of all sin, peace of mind, joy unbounding, the empowerment of God's grace, eternal life and love, do not venture into the BIBLE! ALLELUIA! HE'S OUR KING - DO YOU KNOW HIM? How Can I Find Salvation and Know God? Is Jesus God? Can I Know For Sure? You Can Pray Around The World With Me! Your PRAYER Partners PLUS MORE! DISPENSATIONAL THEOLOGY - IS IT BIBLICAL? The KJV Bible Dictionary-Trouble Understanding KJV? Help is Here! Who Is Jesus Of Nazareth - Lord, Liar, or Lunatic? 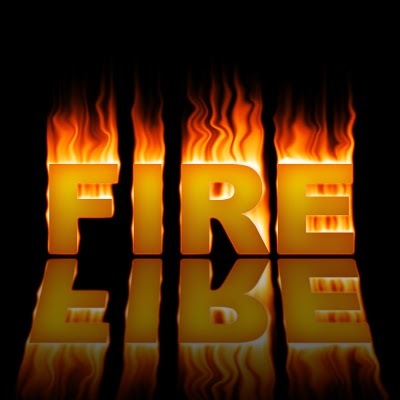 Hebrews 12:28-29:28 Wherefore we receiving a kingdom which cannot be moved, let us have grace, whereby we may serve God acceptably with reverence and godly fear: 29 For our God is a consuming fire. A SMOKE SIGNAL - I'm Dying to be More Like JESUS! EPHESIANS: The Body of Truth . . . and Love!